Our approach to sheet metal fabrication focuses on providing a complete one stop service to our customers at a competitive price. Certified to BS9001:2015 our offering encompasses every facet of the process from assisted design for optimized manufacture through to phased delivery of matched parts and sub-assemblies as and when required. 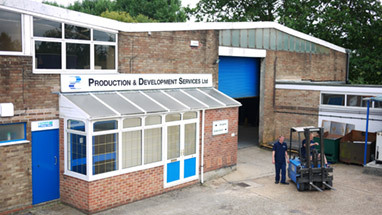 For over 30 years we have engaged with our customers to determine key performance, cost and delivery attributes. We will always try to match or even beat quotes from low cost sources while keeping the considerable advantage of local UK-based manufacture and communication. Where requested, we will help design and manufacture products which must conform to exceptional aesthetic, hygienic or protective requirements. Working out of a modern 10,000 sq ft factory on the edge of Portsmouth and with excellent motorway access, our 15 staff collectively have 300 years of sheet metal fabricating experience. Each new customer and new product has helped us develop a better understanding of the technology and processes we work with, but most of all we share a passion for our work. Knowing how our efforts contribute to our customers’ products and their success drives our business.